"The approximately ninety people working in the studio, across three floors, crowd into the kitchen each day at lunchtime," Olafur Eliasson explains in the book. "Sitting around one long table, sharing food, we take the opportunity to get inspiration from unexpected corners, while also engaging in pragmatic conversations about work, chitchat, or exchanging the odd piece of gossip." 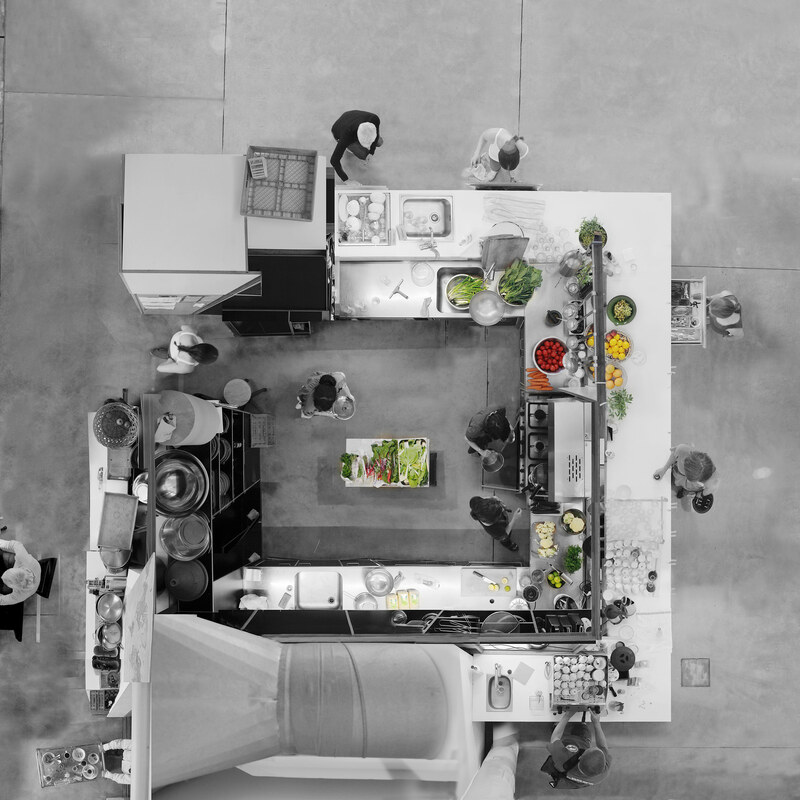 "[The kitchen] quite literally supplies the energy that powers our daily activities," Eliasson writes. The hardcover of Studio Olafur Eliasson: The Kitchen is available to preorder now through Phaidon. It will ship on April 25, 2016.